In January 2015 the NEC in Birmingham opened its doors to thousands of car fans attending Autosport International. The show is becoming one of the premier events on the motoring calendar as it gives smaller, bespoke car manufacturers a chance to make a name for themselves. Here, we take a look at some of the best cars we found on the show floor. 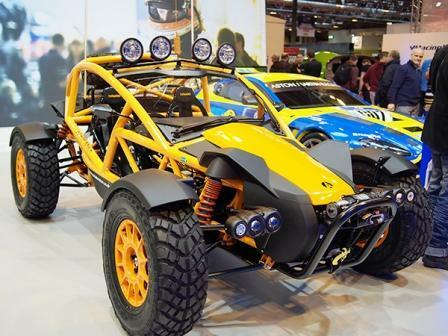 The insane Ariel Nomad made its international debut at this year’s show in Birmingham. The all-terrain performance vehicle is powered by a 2.4-litre, 235 bhp Honda engine, and is capable of reaching 60 mph in 3.4 seconds. The Nomad will be highly customisable, with optional colours, roof-lights, nerf bars and luggage racks. 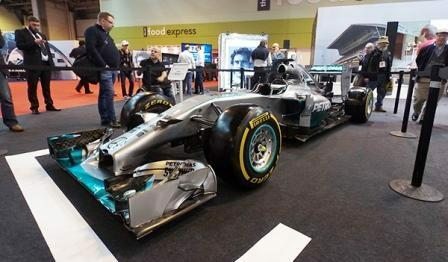 The car was showcased at Bilstein’s stand, and will be available to buy in the summer for £30,000.